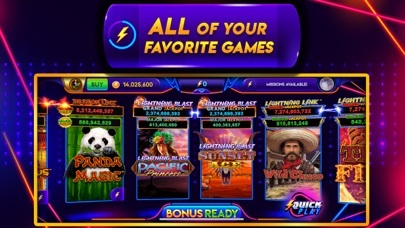 Flip the switch and get charged up for an electrifying slots journey with Lightning Link Casino, the fabulous new slot game from Aristocrat! The creators of Heart of Vegas and Cashman Casino bring you a thundering new free slots casino experience, straight to your phone. 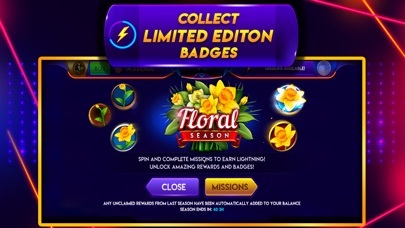 Begin your own slots adventure complete with exciting and challenging daily Missions, amazing Rewards, and an Upgradeable Lightning Bonus for free coins every three hours! Download Lightning Link Casino in a flash to begin your journey and jolt your phone with the thunderous thrill of Las Vegas slots! This game is intended for an adult audience (18+) and does not offer real money gambling or an opportunity to win real money or prizes. Practice or success at social gaming does not imply future success at real money gambling. 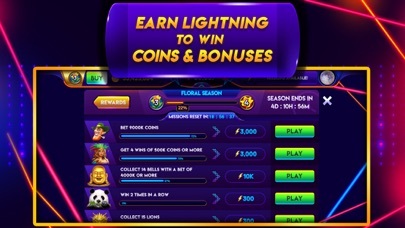 A stunning new slots game, Lightning Link Casino includes an assortment of fantastic new and classic Aristocrat slots for an electric free slots experience like no other: - Watch the big wins erupt in Lightning Link: Tiki Fire - Fall in love with the striking Lightning Link: Heart Throb - Catch a ride with More Chilli and Whales of Cash in Cash Express: Gold Class - Go back to the good old days with Buffalo Deluxe and Sun & Moon Deluxe - Decipher the pyramid mysteries with the King of the Nile - More world-class Aristocrat slots added regularly Are you ready to bring the thunder with you wherever you go? 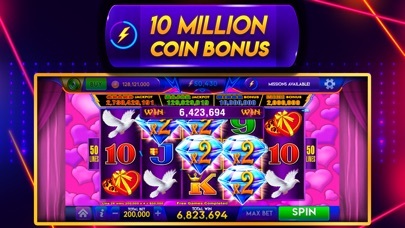 Charge into Lightning Link Casino and claim your 10,000,000 free coins today! I paid 20$ for the gold pass where every 24 hours you get 2.5 million coins. That sounds like a great deal but doesn’t go far. EVERY a night I have to email them and ask for the bonus I paid for. Every night before bed is my total frustration. It has been 9 days in a row and they can’t get it together or refund my money. DO NOT USE THIS APP. I agree with the other “scam reviews”. I have noticed that when you are trying to meet the “goals” it will come down to the last free coins bonus before the “reset” and it doesn’t matter if you need 1%, you will not get it. This has happened on numerous occasions to “force” you to purchase coins since you are so close to completing the goal. I am seriously thinking about deleting the app because it’s obvious this is an attempt to get you to spend money. It worked and I have purchased coins since I was so close and I do believe it has been a lot harder to meet the goals since then. 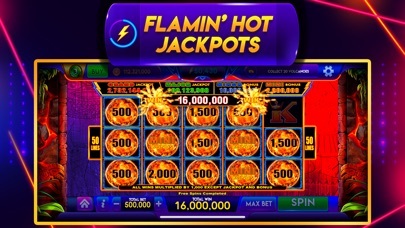 This app has been the most challenging slot apps. They post a link for free coins and NOTHING. I will probably delete this app. Not fun anymore!!! No difference from the REAL casino. Tight!!! First time I played this game. So far it’s quite good and enjoyable. Although an admittedly new user, I am enjoying the great graphics, fast action and amazing number of slots found on this site. And oh yeah, did I mention the great payouts? No, I am not a bot, a developer of this site, or employee of this great site. I'm just a 71 yr old lady who likes to play slots but can't afford to go to Vegas or Biloxi. This is the next best thing! Love this game. Win or lose it’s fun ..
Fun games...but really?? While playing the missions, I spun 50 times at 6,000,000 coins, and not one bonus!! Imagine that. Games could be looser as to enjoy playing a while. If I were you, I’d play other casino games, you may have better luck with them. These games are “for fun”, so why not allow some big wins?